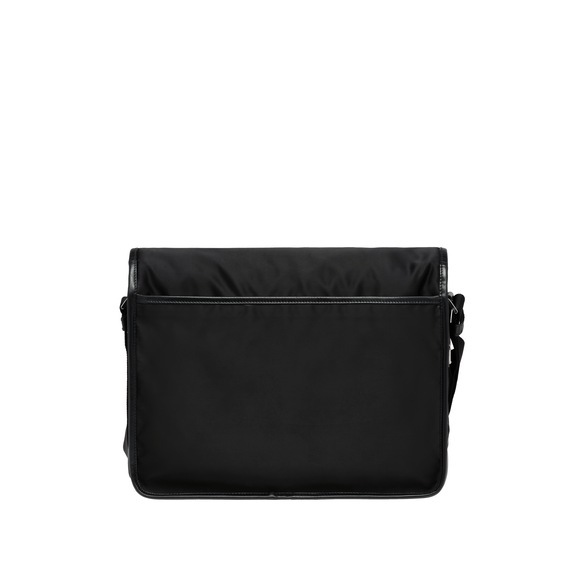 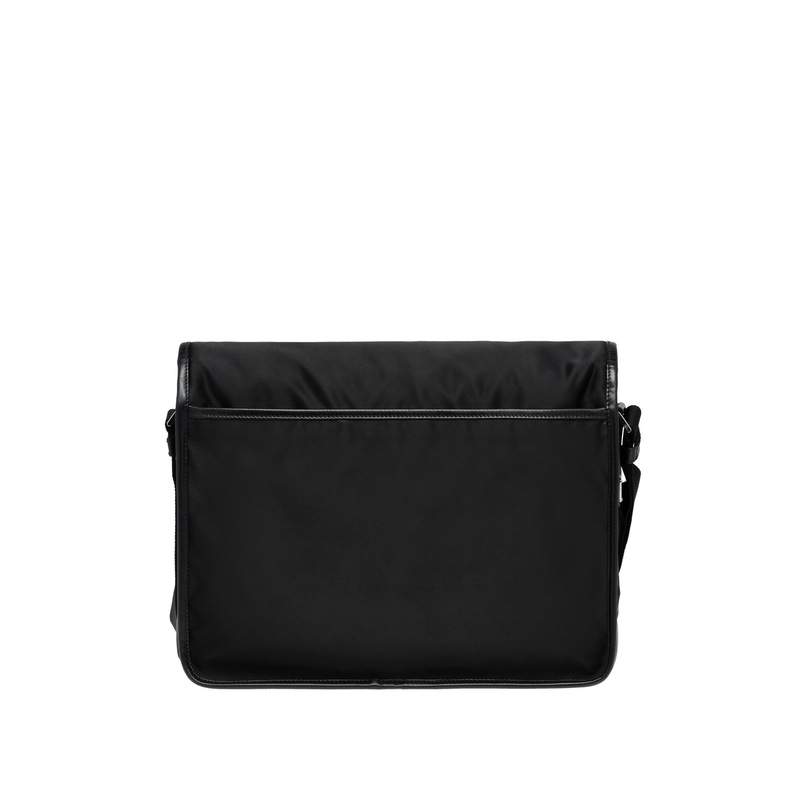 A nylon messenger bag trimmed with Saffiano leather. 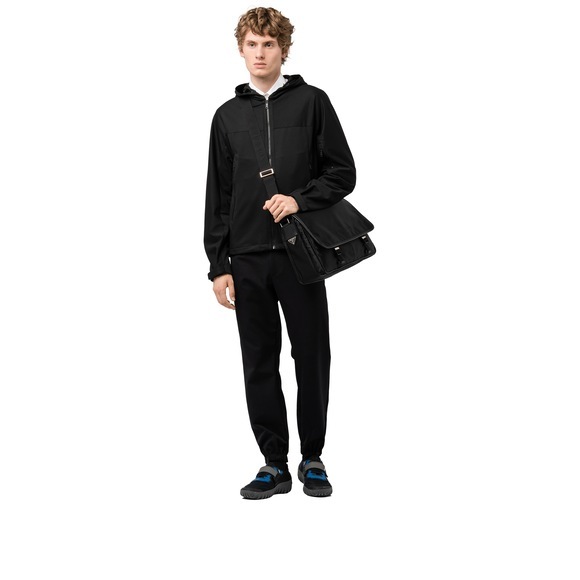 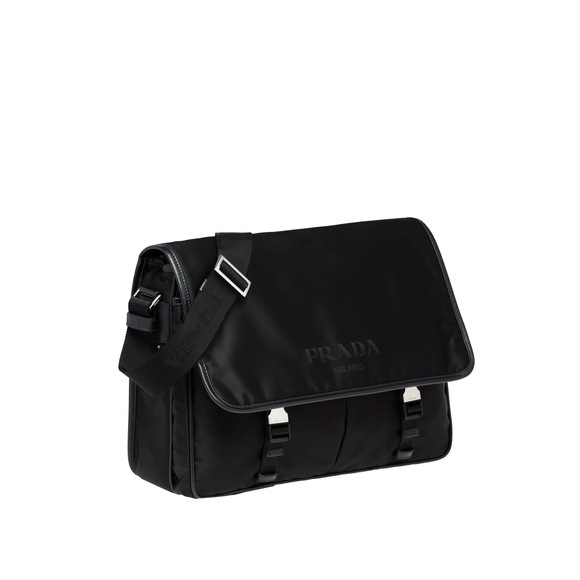 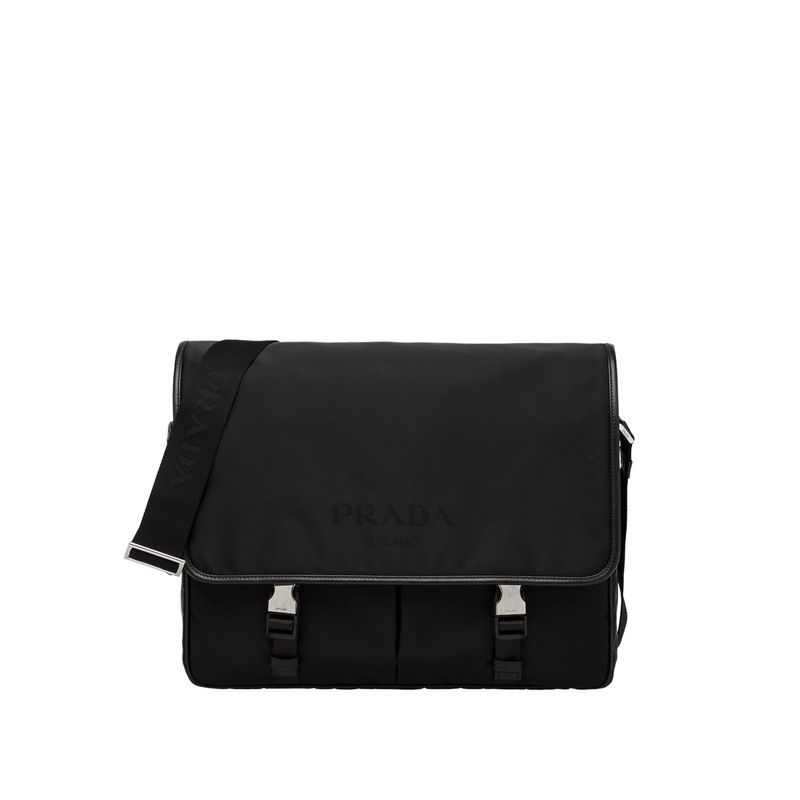 The front is characterized by two pockets, a flap subtly bearing the Prada logo and a detachable strap. 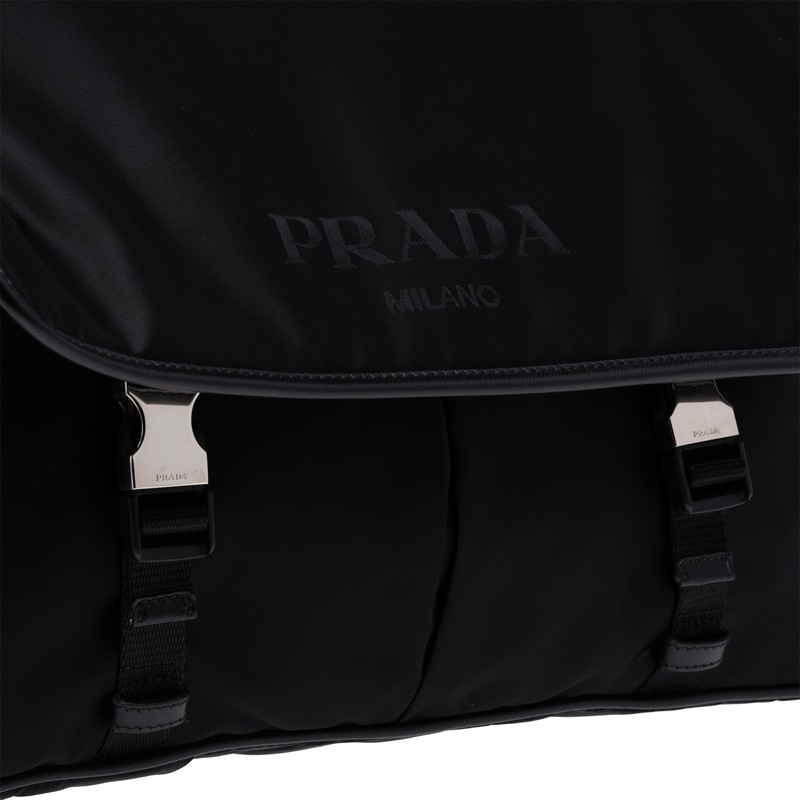 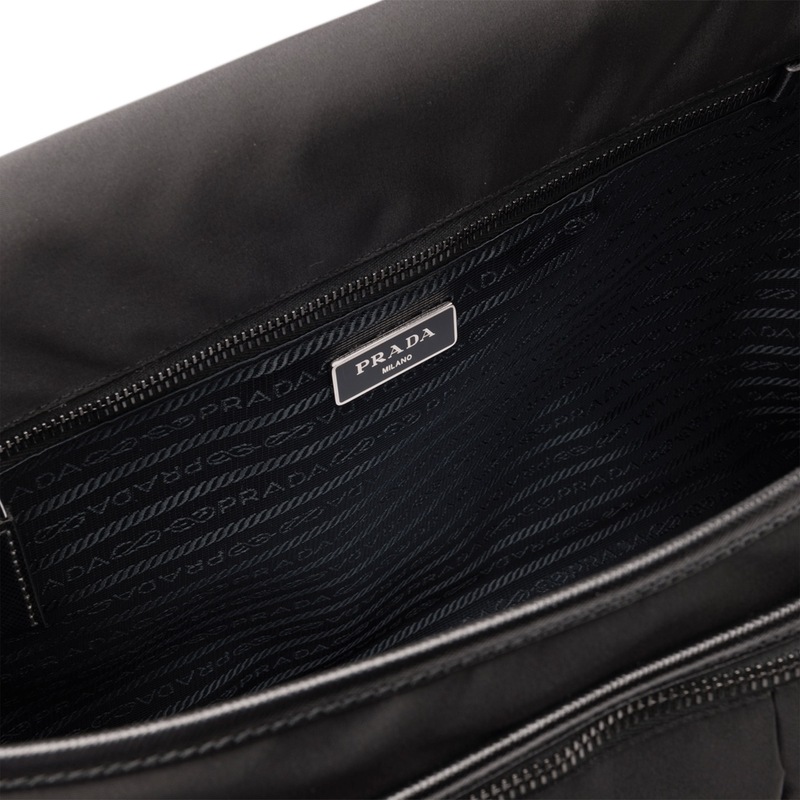 Inside there is one compartment with Prada logo lining.